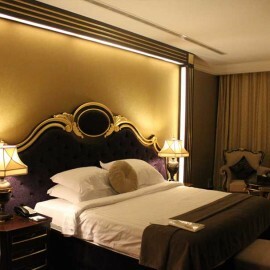 Luxurious 55sqm Executive Rooms offer city views from the top two floors of the hotel. Appointed with rich mahogany furnishings and soothing colours, rooms feature floor to ceiling glazing with heaps of natural light. Designed with utmost comfort in mind, their spacious layout carefully arranged to create separate areas for sleeping with one king size or two single size beds and a lounge area with sofas for relaxation. Business guests can work from the comfort of their rooms at a large desk. Bathrooms appointed in marble and feature bathtub with walk-in shower, vanity unit with sink, a bidet and toilet. 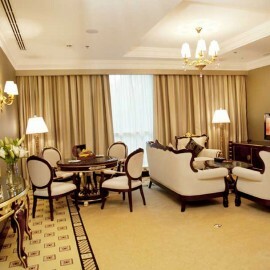 Executive Rooms can accommodate two adults and two children under 12 years in existing bedding with some connecting to a one-bedroom suite.